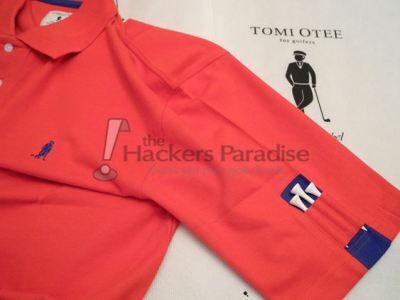 THP recently introduced its readers to a new apparel brand named TOMI OTEE. 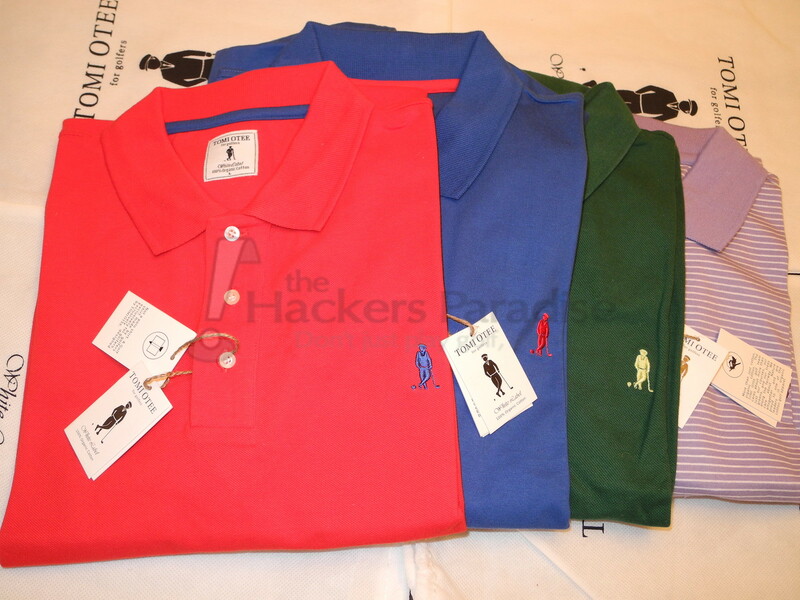 As the leading source of information about golf apparel, we are always eager to see what new companies have to offer. 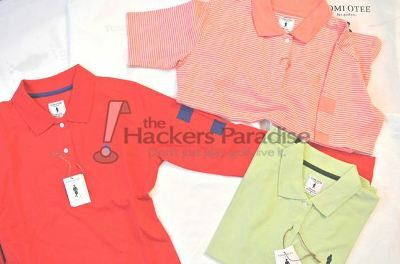 GolferGal and I were sent a variety of shirts from TOMI OTEE’S 2012 line and we’ll both be sharing our thoughts in this review. I thought it would be appropriate to take a minute to give some information about TOMI OTEE, since they are fairly new to the golf industry. This information was provided by the company’s website, www.tomiotee.com. TOMI OTEE is the premier sustainable golf fashion brand in the USA. We have a unique vision: to help communities all around the world achieve environmental sustainability without missing out on being fun and creative. We have a distinct set of values compared to other brands: first and foremost we thrive on product quality, looking to offer you the best fabrics and finishes to help you look (and play) your best on the course. Second, we are guided by ecoresponsability, using sustainable fabrics and helping our community, customers and vendors, to care for the environment. Finally we are fun and creative, creating apparel that is unique, colorful, and will help you look your best. Minimize your carbon footprint: as of 2012 we have officially become a recycler of clothes. This is a completely free service we offer to our customers and from which we do not generate any profit, except a sense of pride for helping to become the leading zero-impact apparel golf brand in the USA recycling more clothes than we sell! “TEE for Two”: Tee off with Charity in mind. Our community involvement is a cornerstone of our philosophy and we created our “Tee for Two” program to engage our customers with our community, and support charities, focusing on education and golf values and ethics. Currently, TOMI OTEE is proudly engaged in supporting the First Tee of Metropolitan New York, a charity which helps 5,000 children in the tri-state area through educational programs and life lessons. Our partnership extends from support in events, fundraising, educational programs and product donation. TOMI OTEE sent four of their White Label men’s shirts for me to review. 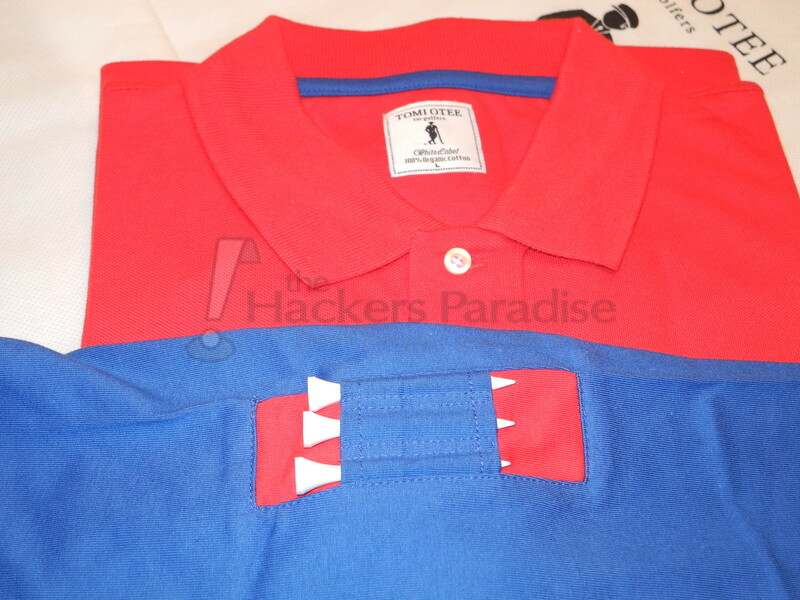 Two were short sleeved with a cotton pique weave and the other two were jersey cotton, in both long and short sleeves. As expected, the jersey shirts were extremely soft and comfortable on the skin. The pique, while not as soft as the jersey weave, gives a bit more structured look to the shirts, which is something I personally prefer. All four shirts were constructed of 100% organic cotton. While cotton isn’t my first choice for warm-weather golf, it’s a fabric I certainly wear during the fall and spring. It should also be noted that TOMI OTEE has another line of shirts made of 100% bamboo that they advertise as moisture-wicking and suitable for warm-weather golf. The colors were vibrant and quite attractive. I won’t go as far as saying that the TOMI OTEE shirts were form-fitting, but they do have a somewhat athletic cut, meaning they are slightly tapered to give a broader shoulder/smaller waist appearance. My personal feeling was that they bordered on running a bit small to size, so those looking for a roomier shirt may find ‘sizing-up’ appropriate. At 6 feet tall and 215 pounds, I was sufficiently comfortable in a size large, especially in the short sleeved shirts. The sleeves on the short sleeved shirts were on the longer side, almost reaching my elbows, and were roomy enough to allow for an unimpeded golf swing. The cuffs on the long sleeved shirt sat just at the base of my palm and featured no elastic. The tee holder was a pleasant surprise. My initial thought was that I wouldn’t care for it, but I felt that it added a nice splash of color to the shirt and served a useful purpose. I didn’t experience any snagging while inserting tees into the holder, though I did take a little extra caution while doing so. The tees stayed in place and I didn’t have any situations where they became obstructive to my golf swing. I only saw one negative issue with the TOMI OTEE line. Since the shirts were somewhat form fitting and made of 100% cotton, I wasn’t able to dry them for fear of shrinking. Because of that, I had to iron the shirts after washing. I’m normally not a fan of ironing, but the shirts appealed to me enough that I was willing to take the extra time to do. I want to start by saying I am not normally a fan of cotton golf shirts. I have always lived in a warm weather climate where tech material is the fabric of choice. Recently, I moved to area where it’s not ninety degrees all year long, so I was excited to review some cotton golf shirts from TOMI OTEE. For the purpose of this review I was given four shirts in a variety of colors to test over the course of about a month. When the apparel first arrived, I was immediately impressed with the packaging. I know that’s a silly thing to even think about, but I really liked how each shirt was placed in plastic and then put into another bag. It gave an overall feel of class and sophistication, without even looking at the apparel inside. After removing the shirts from their packaging, the first thing I noticed was the tee holders on the sleeves of each top. This is a feature I have seen in hats and skorts and it’s something I absolutely love. I hate keeping tees in my pocket and I am always looking for a different place to put them, so this was a huge plus in my book. As mentioned, I received a variety of colors, which I loved because they were bright and vibrant, but still subdued enough to have a more classic look. 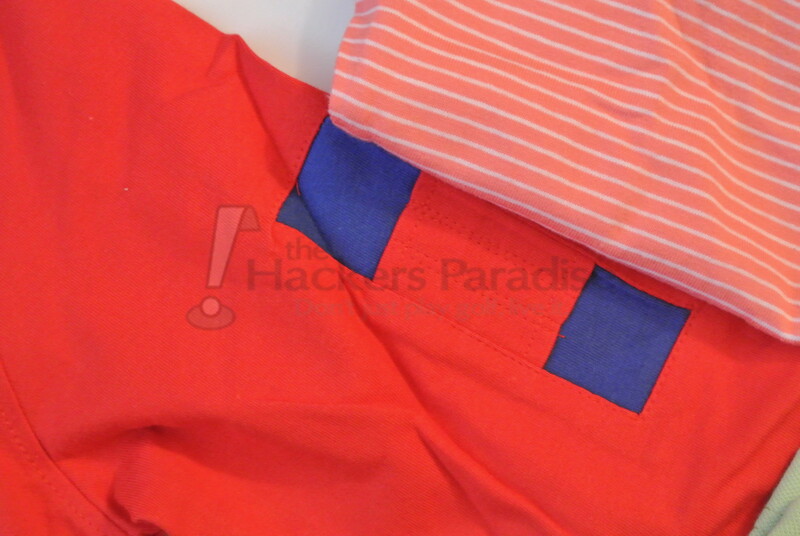 I liked the color combinations they used to contrast the tee holders on the sleeves. My initial thought when I looked at the tops was that they looked a little big, and as soon as I put them on my suspicions were confirmed. I found the short sleeve tops to run about a size big, however, the long sleeve version fit perfectly. My observations of the short sleeve top was that there was a lot of extra room in the torso area, which isn’t necessarily a bad thing, but if you prefer a more form fitting top then I would recommend sizing down. Another important thing to note is the length of the sleeves. I found them to fall to maybe 2 inches above my elbow, which is about 2 inches longer than any other golf shirt I own. Surprisingly, the length of the sleeves didn’t really bother me, and I understand that it is likely that way to accommodate the tee holder. At first it was odd wearing a cotton golf shirt, but with some of the cooler fall days that we have had, I actually grew to like the fabric a lot. It was a little thicker than I would have liked, but something tells me in another month or so I am going to be very grateful for the thicker material. The cotton felt as if it was good quality and rather durable. It did shrink a little after I washed it, but I think that is because I put it in the dryer. I did that on purpose because I needed to shrink mine to fit a little better. This will definitely be a shirt that needs to be ironed before wearing, but once that was done, the shirt looked great. Overall, I enjoyed these tops and look forward to the weather getting cooler so I can wear them some more. The tee holder is by far my favorite feature about them and will definitely be seeing a lot of use from me on the course. GolferGal and I agreed that we found the TOMI OTEE collection to be quite stylish and comfortable to wear. The tee holder, while somewhat insignificant, was convenient and actually allowed for a nice contrasting color scheme we both appreciated. While cotton is not always optimal for warm weather golf, it worked well for us in cooler fall temperatures. As noted, TOMI OTEE does offer a line that is designed for the heat of summer as well. In addition to the shirts, we were both quite impressed to see that the company has so much invested in being domestically operated, charitable and eco-friendly. For more information, please head to www.tomiotee.com. Great job on the combo review. I really like the colors that the men’s shirts came in and I the tee holder is a unique feature. I’m not a fan of the tee in the sleeve feature. The company looks to be very involved with the environment and local issues. I surfed their web site it’s quite busy looking on their homepage however there is plenty of info to digest and lots of different items to shop for. Thanks for the review Ryan and Morgan. Nice review. I am on the fence about the tee feature, but I would like to give these shirts a try as I like the look and I do like 100% cotton shirts. The tee holder is an interesting idea. I’m not sure if it would be distracting while addressing the ball or if you can even see it then. Great reviews from both Morgan and Ryan…thanks! Great job! Love everything but the tee holder! I’ve never heard of this brand before but it looks pretty cool. Nice logo and interesting tee holder feature. Nice review guys! Hawk, interesting to see that you liked them so much you had no problem forgoing the dryer and ironing them. Speaks to the quality of the shirt. Nice looking shirts. Vibrant colors. With the advent of tech fabrics I have few cotton shirts I wear. These look nice enough to consider in cotton. Hopefully you’ll get an opportunity to test their bamboo product in the future. Would like to hear more about that fabrics wearability. Nice review. I like the tee holder and the coloring but I’m just not sure about ironing shirts. I generally am not an ironing fan and take my dress shirts to the dry cleaners but I haven’t tried ironing a Polo, maybe it’d be a little easier. Great review to both of you, Glad to hear the cotton was a good fit, especially in the cold weather! Great review guys. I like knowing the size issues and sleeve lengths. Also think the tee idea is unique. Not sure if I would want to get cotton shirts anymore, but I do like the look. I like the tee holder, but it would take some getting used to putting them there! Merci de partager ce qui contribue à libérer, il est très intéressant de lire vaut la peine, j’aime votre style d’écriture, de le briser. Maintenir la divulgation de cette information. Thanks so much for the review and comments, its great to see a community so engaged and curious. We wanted to give more insights on a few points mentioned here in the comment section. We used 100% organic cotton for our 2013 fall and winter apparel collection that we are preselling right now. Our cotton is more breathable and warmer than polyester, which is particularly convenient during the fall and winter days with that chilling wind. As for the tee pocket, we call it the golfer’s quiver, its a novelty that we designed with the golf swing in mind, so that you actually won’t feel the golf tees during the swing. Feel free to ask any questions, we will be more than happy to provide more insights! Hey Thomas – would love to chat about adding the women’s line to the Golf4Her website.